"Bachao! Bachao!" 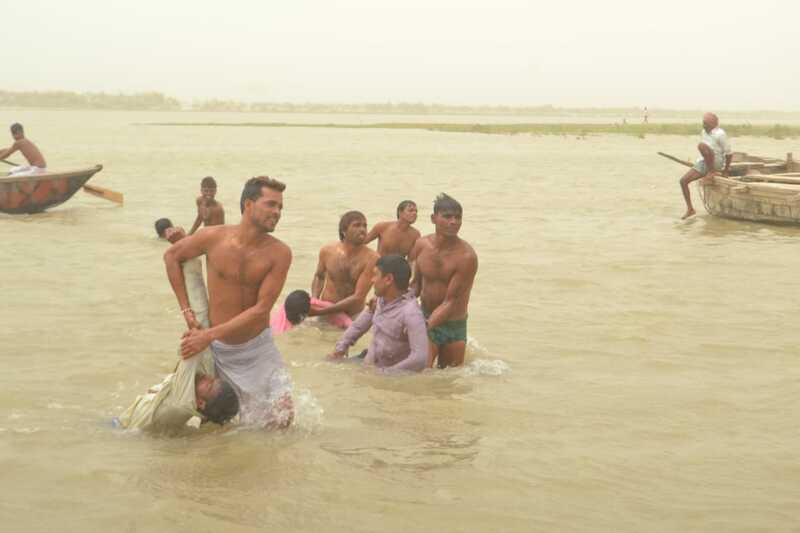 yelled the locals when they saw two young boys drowning in Gorra near Deoria. The river was in spate and rescuing them was going to be a tough task. Not for the trained NDRF (National Disaster Response Force) personnel though. 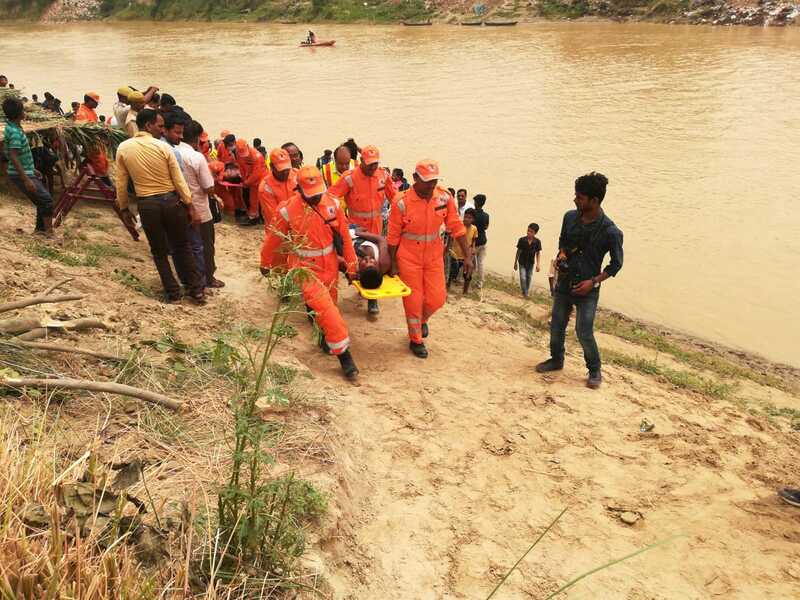 They arrived in two motorboats, jumped into the river and rescued the boys. Meanwhile, in Gorakhpur, river Rapti continued to rise above its danger level and three villages in its vicinity had to be evacuated. These villagers were brought to relief camps; given food and water and medical assistance. 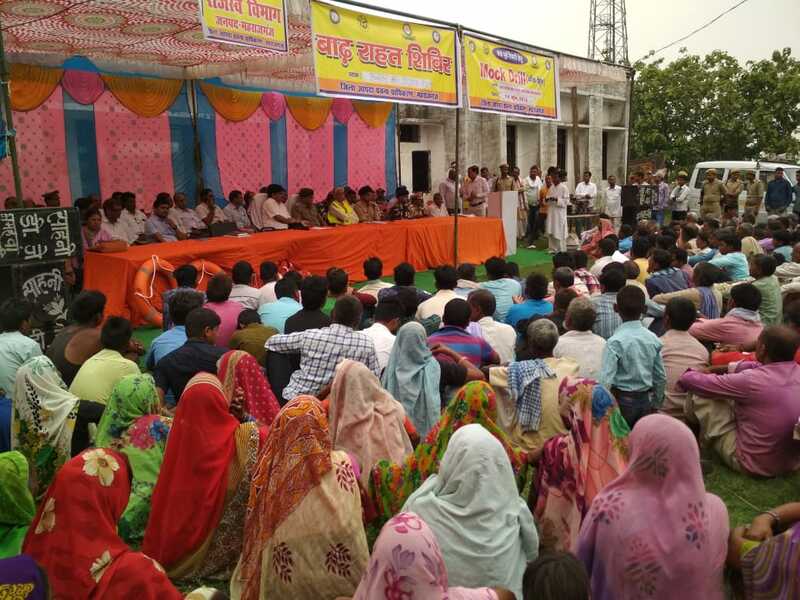 Similar activities were underway at different locations across 23 flood-affected districts. These activities were being monitored closely by NDMA's (National Disaster Management Authority) Maj. Gen. (Retd.) V. K. Datta who would later analyse the entire exercise for coordination gaps and suggest ways to fix them. While the reactions to this event were real, the event itself was thankfully not. The flooding and its aftermath were simulated scenarios for a mock exercise on flood preparedness. Uttar Pradesh is highly vulnerable to floods, which affect some or the other part of the State every year. Of the total geographical area of 240.98 lakhs hectare, approximately 73.36 lakhs hectare land is flood prone. A flood damages crops, houses, public utilities and may also trigger other emergencies such as outbreaks of diseases. The exercise began with a heavy rainfall warning in the catchment areas of major rivers - Ganga, Ghaghra, Gandak, Rapti, Ramganga, etc. as well as their tributaries - from the India Meteorological Department (IMD). Districts were advised to mobilise their resources, issue warnings to the people and evacuate low-lying areas. Flood-related scenarios such as isolation of villages, cases of drowning, breakdown of telephonic communication, marooned people. "Air Force helicopters were used for aerial surveillance. Army personnel were appointed as observers. Food packets were dropped, first aid was administered, simulated evacuations were carried out. In short, we tried to create situations as close to reality as possible. The stakeholders now know exactly how to respond when a real flood occurs," said Maj. Gen. (Retd.) V. K. Datta. The exercise was conducted by NDMA in collaboration with the State administration. "Aimed at assessing the preparedness and response mechanism of all agencies in the densely populated State, the exercise helped spread awareness about the Do’s and Don’ts and basic preparedness, mitigation and prevention measures for flood amongst communities who battle floods year after year," said Lt. Gen. N. C. Marwah, Member, NDMA. He added that the number of volunteers which participated in the exercise was overwhelming. "District Collectors were surprised to find at least 5,000 volunteers and allied forces at the district level who can be utilised for disaster response." In the post-exercise analysis, done through video-conferencing, all the participating districts discussed the challenges faced during the exercise. The one major obstacle that participants felt would hamper operations during a real-life situation was their lack of expertise in using communication devices such as satellite phones. "Better communication will ensure better coordination," said Gen. Datta while emphasising on the need for training and regular practice in using wireless communication devices. This was the first such large-scale flood preparedness exercise carried out in the State. Ms. Aditi Umrao, Project Director, Emergency Operations, Uttar Pradesh SDMA, said this exercise worked like a refresher course for those engaged in disaster management, officials and volunteers alike. It has enhanced our preparedness and response mechanisms, she said, adding that "We have updated our resource inventory and learned our lessons well. Uttar Pradesh is prepared to deal with the floods this year."